I count myself very lucky to have some inspirational crafting friends, they make some amazing things and are always happy to share their ideas and what inspires them. So I am now going to share 2 things that I made thanks to inspiration from my friends. 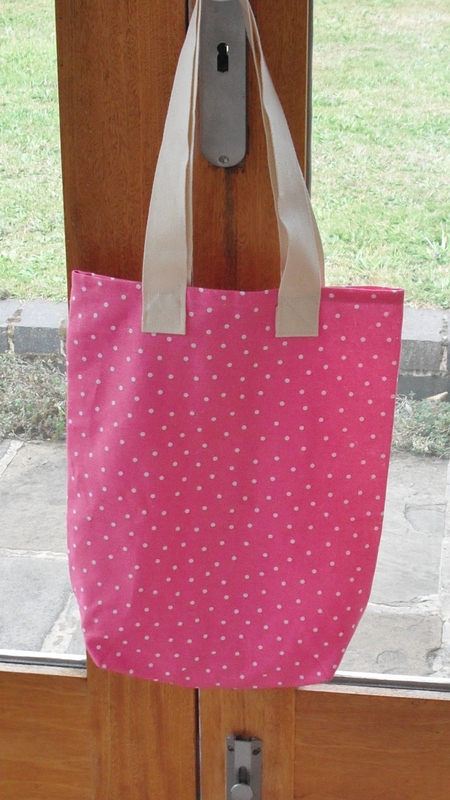 I call it the Tesco Tea Towel Tote! And it is destined to be a present. Thank you Riana! The next inspiration came from Heike (do have a look at her blog here http://www.madewithloops.co.uk). 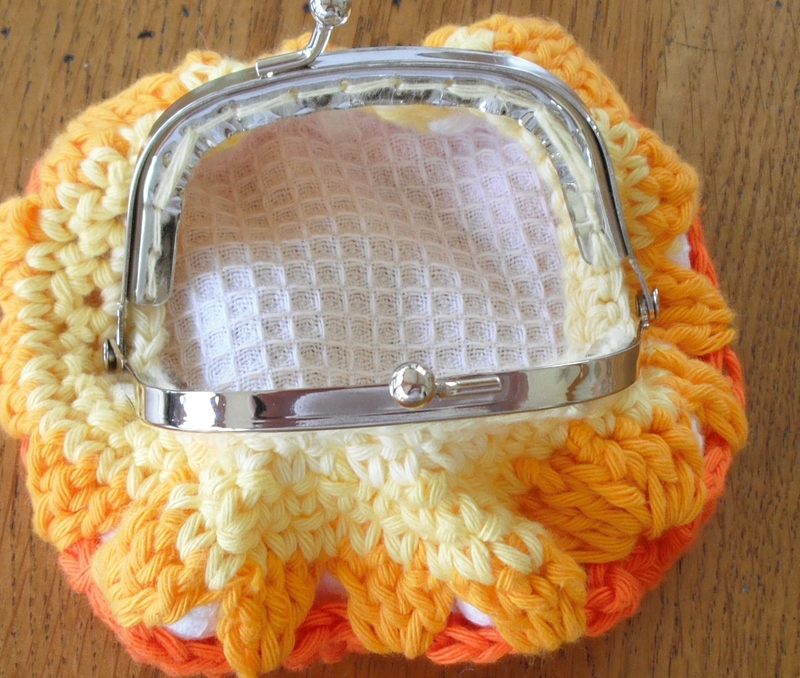 She shared a photo on facebook of a very colourful granny bag, gathered at the top into some handles. 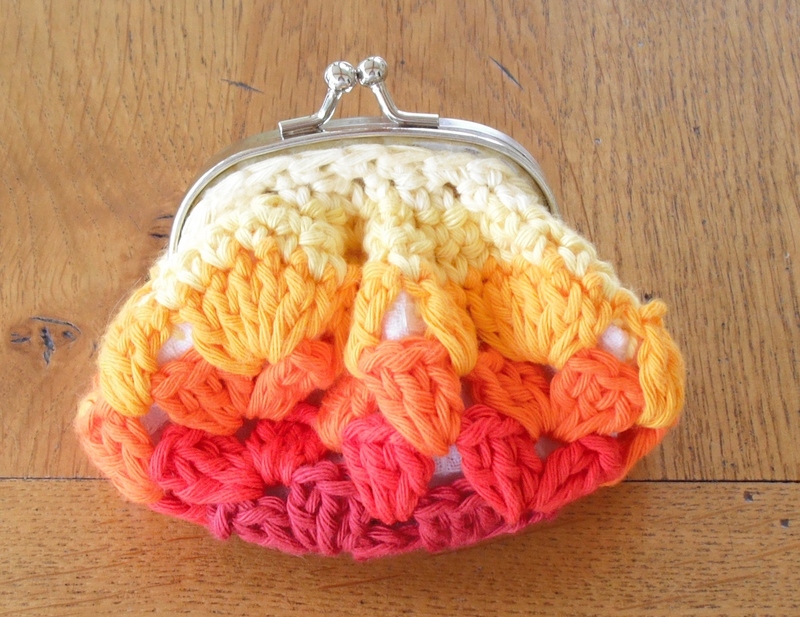 And this inspired me to make a purse along the same lines – here is my take on a granny purse. Yes, it is a white waffle – taken from one of the Tesco Tea Towels. Those are both lovely Valerie, i might have to copy the bag idea as i saw some gorgeous teatowels in Chatel yesterday. Thank you also for mentioning my blog, so kind of you.